The corporate deadline is now behind us, and we are talking with Des Moines clients every day about their situation. And these conversations vary — because not only do we consult with our Des Moines clients about their specific tax obligations, but we end up becoming a financial counselor as well. This, frankly, is a role that we embrace around here: for some, we are the only people who see the underbelly of their financial life … and who will still instill a dose of hope. But in addition to instilling hope to our clients who are struggling, we also have come up with a pretty good profile, over the years, of what makes for financial security. We’ve seen some of our Des Moines clients work HARD to join the ranks of those who’ve achieved this, and it’s worth applauding. Which is why I’d like to tell you about our Des Moines clients who have prepared themselves well. I’m not naming any names here, but I am interested in commonalities. And you’ll notice that these are just as significantly about your mindset as you relate to your finances, as about your behaviors. 7) She also knows that the few millionaires in Des Moines that reached that milestone without a plan got there only because of dumb luck. It’s not enough to simply “declare” to the universe that you want to be financially free. This is not a “Secret”. And a little bonus, if you will: She doesn’t pay taxes which could have been avoided with a simple phone call to her Des Moines tax professional. 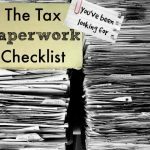 She gets the advice, guidance, and expert assistance of a professional, and doesn’t waste her time trying to learn the tax code as well as those who have put in thousands of hours of their life to do so.